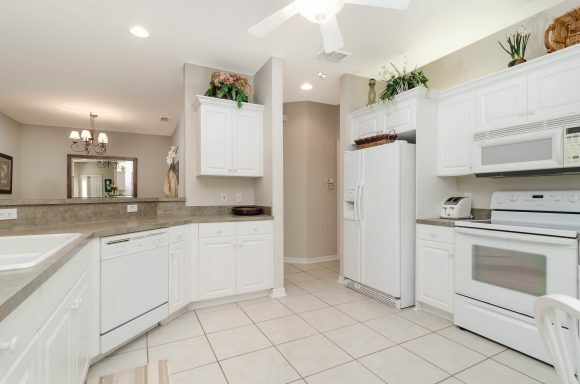 Step into your sparkling clean, perfect vacation condo with a gorgeous golf course west facing view. And step into it turnkey furnished! 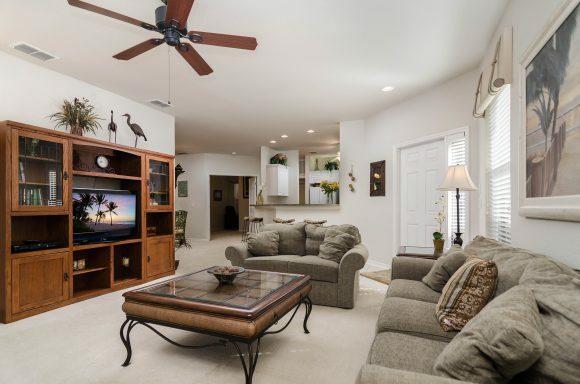 The most sought after first floor, end unit model in Sabal Palm is filled with light and has an open floor plan for entertaining family and friends. 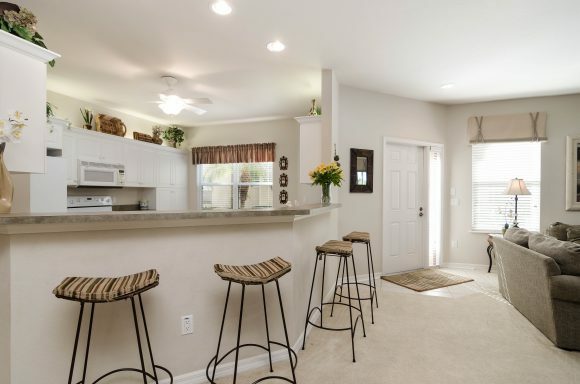 Enjoy 2 bedrooms with 3rd bedroom/den/office and 2 full baths with a 1 car, attached garage. 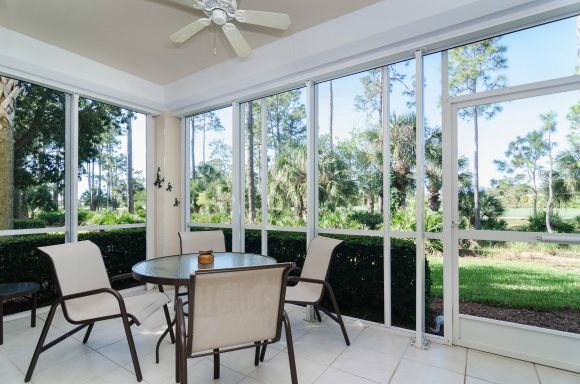 There is ample space on the serene lanai which comes equipped with electric hurricane shutters and tiled floor. 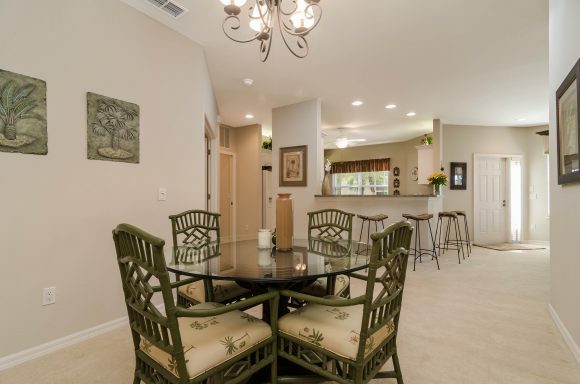 The large eat-in kitchen offers plenty of room for cooking and gathering but the separate, formal dining area can be used instead. 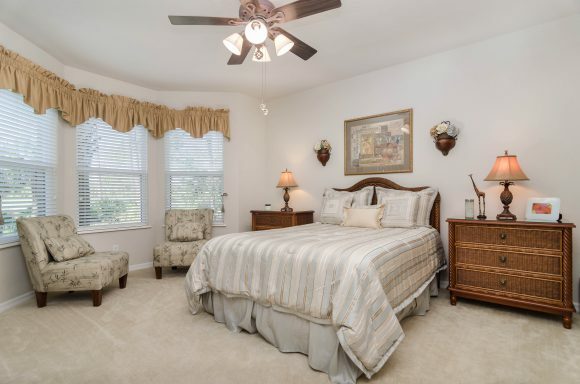 The master suite comes with a bay window, entrance to the lanai and lots of closet space. 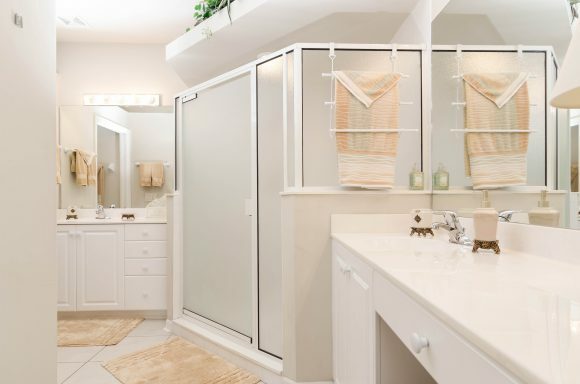 It boasts not only of 2 sinks but also a large shower with 2 shower heads. You will love living in Grandezza. Enjoy all the amenities including a social membership, a resort style pool, tennis, bocce, dining and working out in the state of the art fitness center. 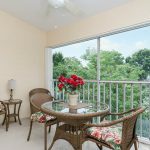 This PRIME location, near the airport, Germain Arena, Miromar Outlets, restaurants and more makes this condo and price a must to see. Call today for a private tour of this beautiful, Grandezza condo. There are many reasons to choose Grandezza. 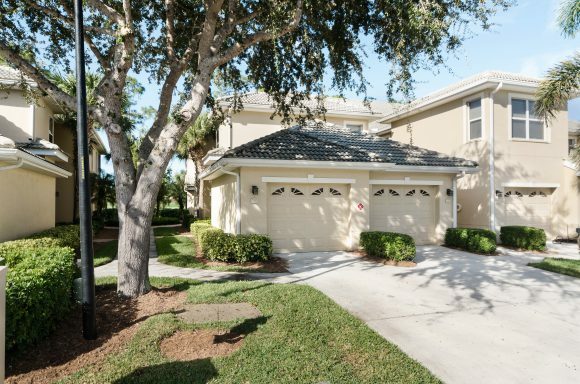 Located in the heart of Estero is the beautiful community of Grandezza. A luxurious residential resort community inspired by Mediterranean Villas. At Grandezza you can choose from gorgeous custom built homes, Villas, and coach homes. 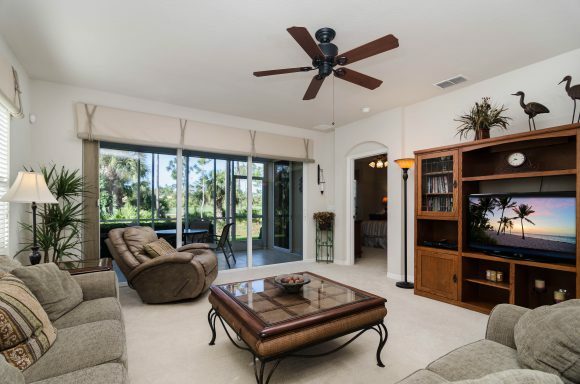 Each residence at Grandezza comes with a social membership while golf memberships are optional. The Grandezza clubhouse offers 53,000 square feet with delicious fine and casual dining, a fully equipped fitness center, a pro-shop, media room, board room, party rooms, a resort style pool and spa, cabana, and 6 lighted Har-Tru tennis courts. 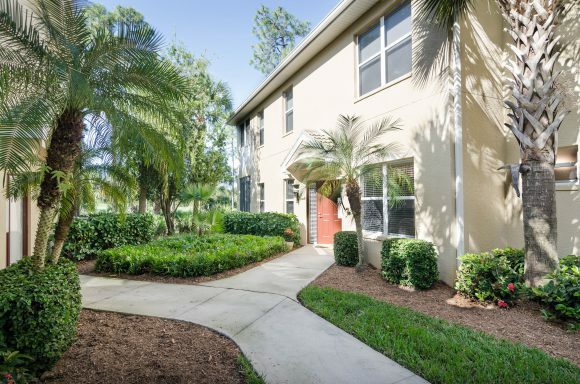 Located in one of the fastest growing areas in South West Florida, Grandezza is close to all kinds of great restaurants, the Miromar Outlets, Gulf Coast Town Center, Coconut Point Mall and is but a 10 minute drive to the airport.